The editable version is included! Download and translate into a different language before printing. 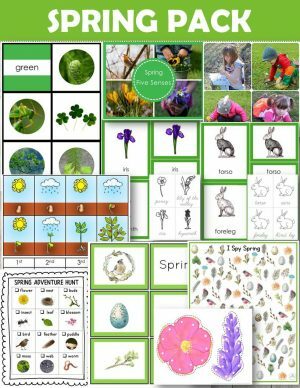 Three-part cards with 11 images for the object to photo matching activity. The printable features clear real-life photographs. Includes a set of Rain Forest Animals (South America) vocabulary cards – blue-and-yellow macaw, jaguar, iguana, tapir, red-eyed tree frog, poison dart frog, emerald tree boa, caiman, anteater, toco toucan, spider monkey. 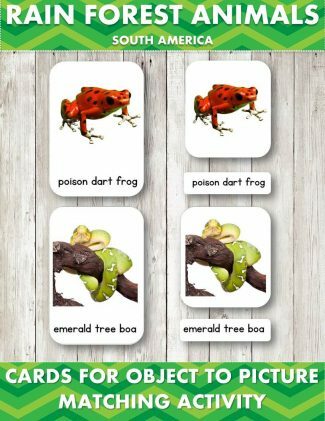 Three part cards are an excellent tool to help children interactively learn new vocabulary and spelling. This printable was designed to match Safari Rainforest TOOB. The printable is suitable for children aged 2-4.